A long distance commercial move, whether a large office, an industrial warehouse, or a retail space can be a daunting task. It is imperative to plan a long distance commercial move as efficiently as possible – or it could mean lost revenue for you as the process extends. If you happen to be the person in charge of your office relocation – this is for you. Your office plan should include a number of different factors. Even if you work for a small company – this part of your commercial move is crucial to the orderliness of your move. Your plan should include a list of employees – and what department they are in. Each employee office should have an inventory of what furniture/electronics/etc is located in each office. I highly suggest getting a blueprint of the new office to determine where each employee will be. Usually, when performing a long distance office or commercial move, we usually only move a portion of the office – for example one department moves. A complete inventory of what is going and staying is crucial to the success of a long distance commercial move. 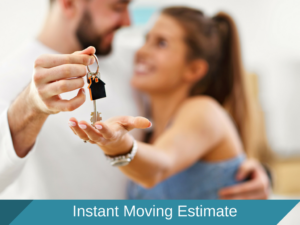 There are a lot of moving companies that offer commercial moving services. However, few are actually trained office movers. 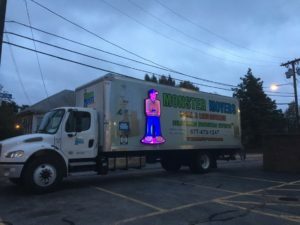 Monster Movers is a long distance commercial mover that incorporates office and commercial education into the initial training that our movers receive before going on any job. 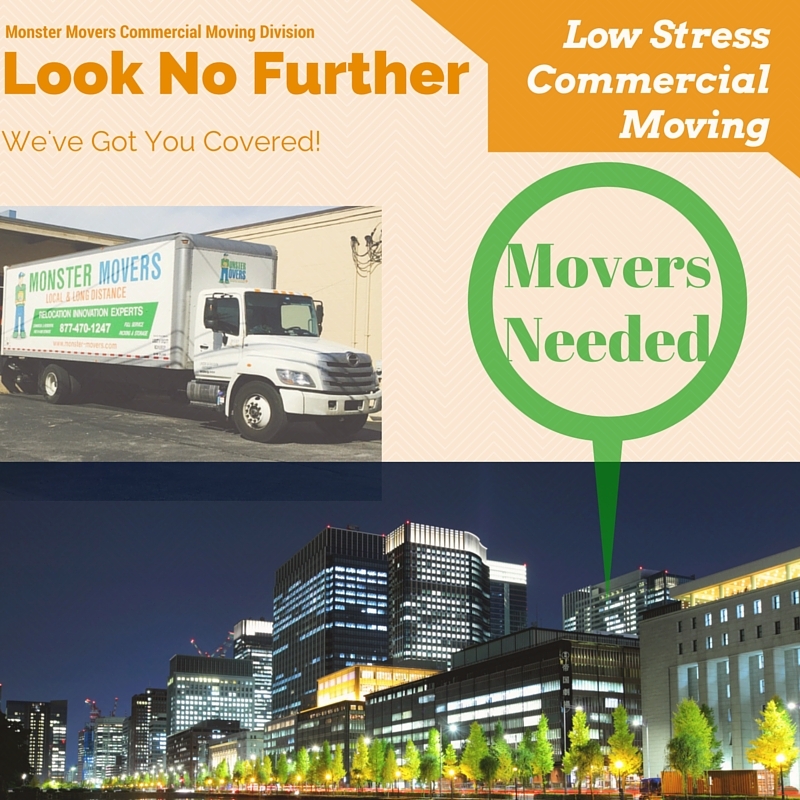 Monster Movers is a trusted commercial mover that is trusted by Fortune 500 companies, small businesses, and everyone in between. Long distance commercial moves are extremely time sensitive – you need to hire a commercial mover that guarantees delivery dates. You should also coordinated any computer installation companies, elevator usage, phone services, and utilities services. Your long distance movers should be notified of elevator days/times in the new location. 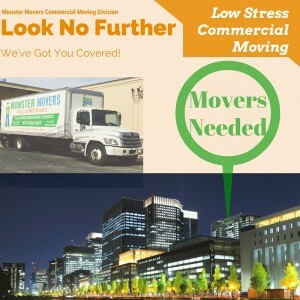 Long distance commercial moving is extremely time-sensitive so your movers need this information well in advance. With most office moves, there are some pieces of furniture that won’t be going and new furniture that will. You can call a removal company ( or your commercial mover may be able to do this) to pick up old office furniture for donation. Contact your office movers and make them aware of any special moving arrangements or last minute moving services. I have attended some office relocations where the labeling of furnishings, cartons, boxes has been inconsistent and leads to hours of “who’s mousepad and pictures are these.” Label everything – twice. Label offices, make signs for your long distance commercial move and employees.